Personal contract hire is the same as business contract hire but aimed at private users and is commonly referred to as a personal car lease. The car is purchased by the finance company who estimates a value of the car at end of the term and your monthly payment then consists of the depreciation and interest. The benefits are no residual value risk and fixed payments, but the car has to be returned in a reasonable condition and not at a greater mileage than stated at contract inception or the finance company will levy an excess mileage charge for this. The road fund licence (RFL) is included for the entire contract period. Summary: Personal Contract Hire provides fixed monthly payments with no disposal risks or hassle. An optional fixed price car maintenance plan can be added for total peace of mind. 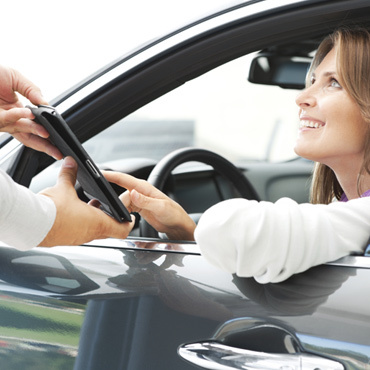 Personal Contract Purchase or PCP has terms normally from 24 months up to 60 months, again with fixed repayments and a guaranteed future value (GFV) which you have the option to pay to own the car at the end of the agreement although you can also choose to hand the car back to the finance company with nothing further to pay. The car needs to stay within the mileage amount stated at contract inception and also returned in a reasonable condition or the finance company does have the right to levy a charge for the loss in value. Summary: A finance product for those who wish the option to own their cars but avoid the risk of financial loss upon disposal. Summary: Ideal funding method for individuals who wish to take ownership and the responsibility for the resale and disposal. This finance option allows a double benefit where the client requires a fixed payment linked to a variable interest rate facility. The client can benefit from future interest rate reductions and lower interest penalties upon early settlement of the agreement. The finance house base rate (FHBR) will fluctuate during the agreement and in the event that the FHBR is higher than that reflected in the periodic payments, then your payments will continue until the capital and interest balance is repaid. Alternatively should the FHBR be lower than originally assumed, then fewer payments will be required to complete the agreement. Capital lump sums can also be paid to create a shorter repayment period. In some cases the original monthly rental can be reduced whilst leaving the payment period as per the original agreement. Summary: Ideal for clients who traditionally settle their agreements early and who take the responsibility of the disposal of their vehicles. Summary: Ideal for individuals and companies that do not require a long term vehicle commitment. Since banks started lending money to consumers there have always been people who did not meet the normal underwriting criteria for the main stream banks. These people as far as vehicles go, fell into the none status or subprime leasing bracket. However due to the credit crunch, it started to have an effect on lending criteria and since mid 2008 more and more people were finding themselves classed as a high risk by the banks and leasing companies. The main stream banks realised that they could no longer lend the amounts that they had been doing as they were taking excessive risks. So underwriting criteria was completely changed and all of a sudden millions of people and businesses found themselves in the non status bracket through no fault of their own. Summary: Ideal for individuals with a poor credit history or existing adverse credit. Visit our dedicated Personal Lease website for quotes and options.